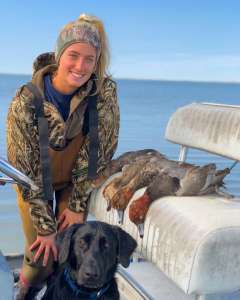 Our Texas Gulf Coast is so well known for it’s excellent fishing, that the amazing waterfowl hunting is too often over looked. Freeport Texas Fishing Charters has teamed up with Texas Gulf Coast Outfitters to outfit hunting and fishing on the pristine bays and marshes of the Texas upper coast. 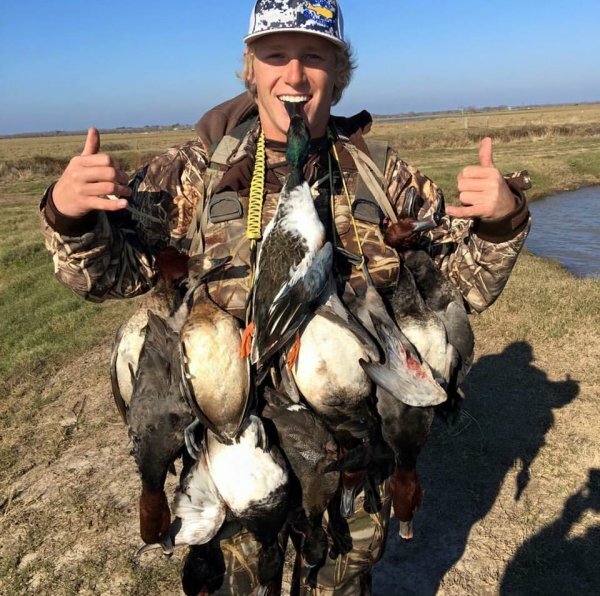 Offering Duck Hunts, Blast and Cast Packages, Blast and Flounder Gigging Packages, we have you covered for any Fall Time adventure you may desire that our Texas Gulf Coast offers. Only a short drive from Houston can have you tucked down in a pre-scouted location in a spread of decoys watching the sun rise, and birds on the horizon. We provide two types of hunts. Bay Hunts or Marsh Hunts. Bay Hunts will see a large spread of decoys, and easier access – less stomping thru mud to get to hunting grounds. 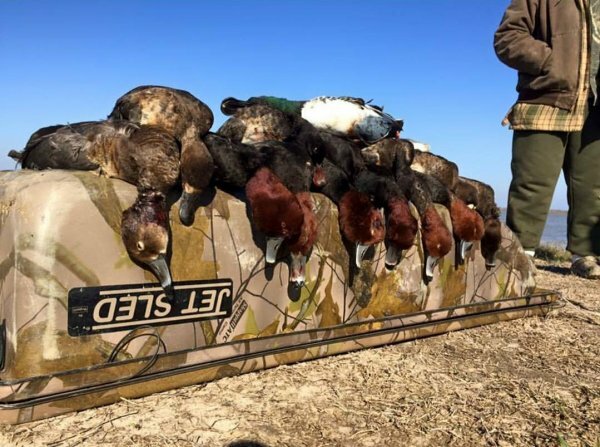 Marsh Hunts are much more work, as far as getting to the areas – but can be rewarding as well. Trained Dogs are always provided on both hunts. We also offer Lodging and Meals. Lodging only $200 per night, and will sleep up to eleven people. Lodging only $200 per night, and will sleep up to eleven. $575 per person per day with all meals included.